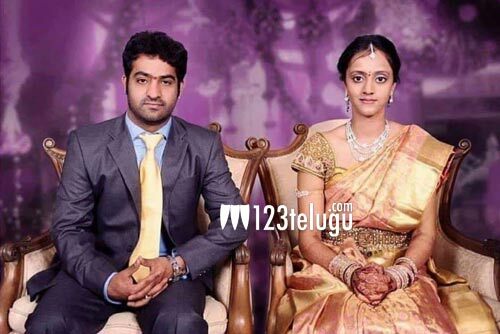 NTR is a superstar of sorts and his happily leading his married life with Pranathi. Today, the star wife is celebrating her birthday and NTR threw a grand bash at his residence yesterday. Meanwhile, NTR’s engagement snap which was not released during that time has gone viral on the net now. Seen here in the picture are a young looking NTR and Pranathi during the special pooja ceremony. As of now, NTR is busy shooting for RRR in the direction of Rajamouli.